2011 finalists below: Timothy Hilgert, Samuel Armstrong, Adam Rainey, Grand Prize winner Christopher Wolf and Douglas Rosenthal. 2009: Pictured left to right: Kari Sundstrom, David Herring, Patrick Pfister, Douglas Wright, winner-Christopher Davis, Graham Gibson, Douglas Rosenthal, and winner-Brian Hecht. 2005: pictured (l-r) Mike Gast, David Herring, Kari Sundström, winner-Charles Reneau, Kirk Ferguson, James Kent, Kyle Covington Angel Subero. 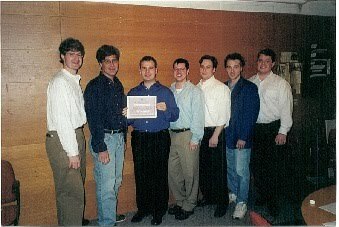 2000: pictured (l-r): Greg Spiridopoulos, Jeremy Moeller, winner-Nathan Zgonc, James Kazik, Philip Brown, Douglas Wright, David Herring, and Kari Sundström. 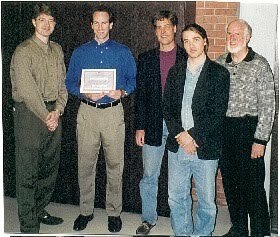 1998: pictured (l-r): Douglas Wright, winner-Craig Mulcahy, David Herring, Kari Sundström, and Ross Tolbert. 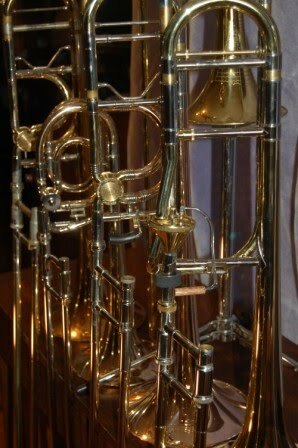 2007: Winner, bass trombonist Ilan Morgenstern, second prize winner, Graeme Mutchler, third prize winner Mark Davidson, and $500 Finalist award winner, Nathan Dishman. 2003: pictured (l-r) Kari Sundström, David Herring, Douglas Wright, winner-James Williams, Jonathan Reycraft, Benjamin Green, and Darin Cash. 2001: pictured (l-r) David Herring, Kari Sundström, Douglas Wright, winner-Frank Bunger, Dale Moore II, Greg Spiridopoulos, Darcio Gianelli, and Philip Brown. 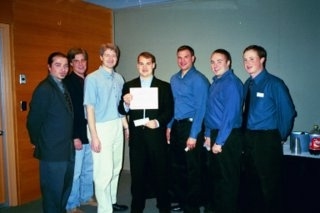 1999: pictured (l-r): Douglas Wright, David Herring, winner-Norbert Laczko, Stephen Lange Nathan Zgonc, Kari Sundström and Scott Parkinson.